European stacking containers are ideal heavy duty plastic boxes for use in handling and storage of goods and products. Perfect for a vast number of applications including food handling, order picking, distribution and general storage, these Euro stacking boxes are used throughout a variety of industries including catering, engineering, pharmaceuticals, food processing and many more. 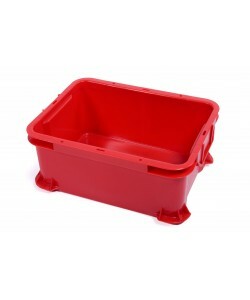 Available in a wide range of sizes the plastic stacking containers can be tailored to suit your individual requirements with optional lids, personalised print and locking clasps. Produced to a European standard size, the stackable boxes are compatible with Euro sized plastic pallets and also a number of our very own rotoX Euro sized dollies. 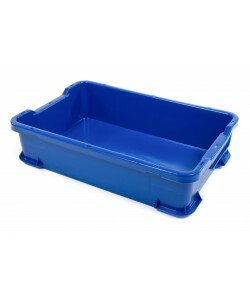 Easily transported and extremely durable, the European stacking containers are commonly used for transportation and logistics applications within imports and exports industries. 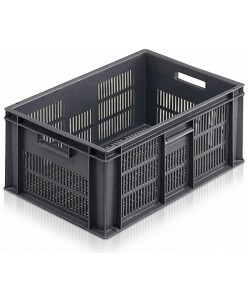 Many of the plastic storage containers exhibit locking points on both the plastic container and lid, allowing them to be securely sealed by cable ties. 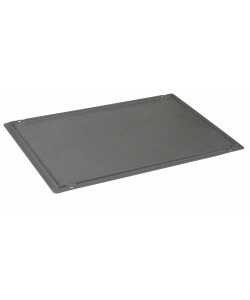 This attribute makes the Euro stackers extremely popular for transporting goods overseas. Produced from food grade polypropylene the plastic stacking boxes offer a hygienic and easy cleaned means for food handling and distribution. Many of the models are available in several different colours, helping you to adhere to colour coding practices. 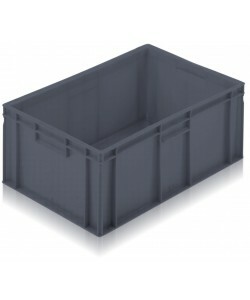 Designed to stack only, the Euro stacking container is a very effective space saving storage solution. Stackable boxes of similar dimensions can be stacked on top of one another to save on space. 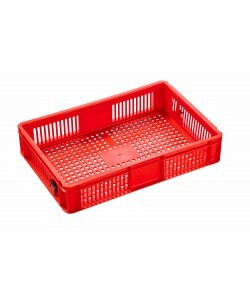 The majority of the European stacking boxes are available in both solid and perforated formats to suit different applications but they all share a common hard wearing and robust construction. Perfect for the catering and food manufacturing industries, our UB903, UB904 and UB905 hygienic stacking containers offer easy to clean plastic stacking boxes for food handling and food storage. Commonly known as meat trays these plastic stacking containers are used for many handling and distribution applications. 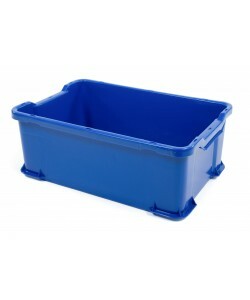 Enhancing the hygienic storage container range, our very own HYGIBOX stacking containers offer incredible durability and a design that incorporates no crevices, seams, or dirt traps. Exclusive to Fletcher European, the HYGIBOX range of stackable boxes are available in almost any colour required and can be supplied in 4 different sizes with or without optional lids and tag slots to aid with product identification. 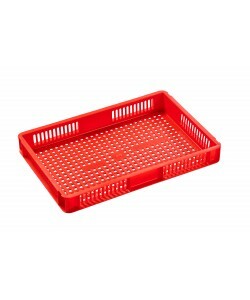 As a proud UK partner stockist of Schoeller Allibert plastic stacking trays, Fletcher European hold an extremely large amount of stock within our UK warehouse and factory. Helping to provide a fast and efficient turn-around of Euro stackers, confectionery trays, Maxinest bale arm crates and much more, we pride ourselves on our ability to meet your requirements.